Before the Civil War, almost nobody in Missouri supported the abolition of salvery. Even strong Unionists generally supported "the peculiar institution." But the bloody conflict created a new divide in Missouri politics, between Radical Republicans and Conservative Democrats. Aided by John Newman Edwards, Jesse James began to see himself as a soldier on the Democrats' side of the struggle. 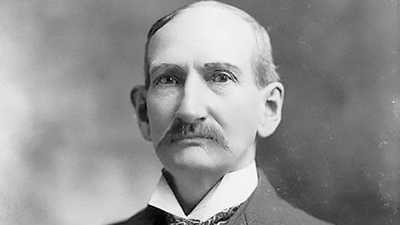 But that political linkage had ironic consequences; once ex-Confederates triumphed in Missouri politics, they no longer had any use for a criminal like James. After the war, a split appeared in Missouri politics between the Radicals, who wanted to give civil rights to blacks and punish secessionists, and Conservatives, who tried to preserve the pre-war social order. The Radicals dominated a constitutional convention that assembled in St. Louis in early 1865; the convention first freed Missouri's slaves, then approved a new constitution giving blacks civil rights and barring from voting, civil offices, and even the pulpit anyone who could not swear that they had not engaged in any one of a list of 86 forbidden acts of rebellion. In Jesse James' native Clay County, the Oath resulted in the disenfranchisement of three-quarters of the white male population. In early 1866, Missouri's Radicals began to become part of the Republican Party, while the Conservatives subsequently joined with the Democrats. With ex-Confederates excluded from the political process, Missouri's Democrats were lead by Unionists like Frank Blair, men who hated both slavery and blacks. Blair railed against anyone who would allow a "mongrel nation" and demanded segregation of the races. In 1866 Republican governor Thomas Fletcher made highly controversial use of the state militia to battle bushwackers who attempted to interfere in the election, against a backdrop of widespread violence against Conservatives by Radical forces across Missouri. In the end, thanks to the loyalty oath, the Republicans triumphed at the polls. By the time of the 1868 elections, Congressional Reconstruction was in full force in Washington, while Blair, who was the Democratic candidate for vice-president, attacked "carpetbag Southern governments" and "a semi-barbarous race of blacks." 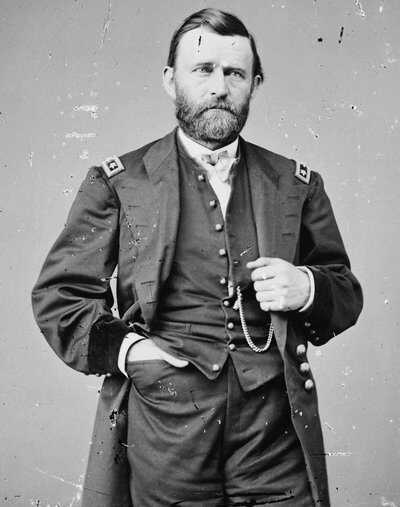 Republican Ulysses Grant won the presidency, and the Republicans also kept control of the Missouri governor's office. But splits in their ranks were emerging over the issue of restoring voting rights to ex-Confederates. Against this backdrop, Democrats railed against corruption in the Grant administration and supported the gubernatorial candidate of the newly formed Liberal Republican Party. In the election of 1870, he won by a wide margin, and ex-Confederates got back the right to vote. Meanwhile, a young outlaw named Jesse James was beginning to attract attention, and he would cast his banditry in political terms. In a letter he is thought to have authored, James wrote, "Just let a party of men commit a bold robbery, and the cry is hang them, but Grant and his party can steal millions, and it is all right." Jesse then endorsed the Liberal Republican candidate for president. Grant won re-election in 1872, but resistance to Reconstruction was growing, and the paramilitary Ku Klux Klan terrorized both blacks and Northern transplants across the South. 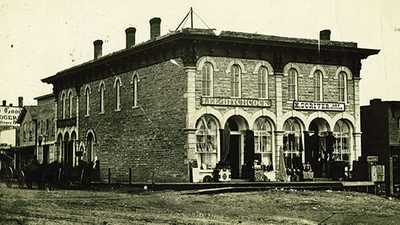 Jesse and his gang picked up on this theme, wearing Klan masks during an 1873 robbery of the Rock Island Railroad. But for Missouri Democrats, increasing electoral success was exacting a price; divisions between Unionists and ex-Confederates now came to the fore. While the former secessionists were content to turn a blind eye to the James gang, the succession of Democratic Unionist governors who ruled Missouri in the 1870s had little tolerance for banditry, and they were stung by Republican claims that Missouri was degenerating into a "robber state." Unfortunately for the Unionists, the disastrous Pinkerton raid on the James farm created a wave of sympathy for Jesse and built support for the ex-Confederate wing of the Democratic Party. A new state constitution prohibited interracial marriage and segregated Missouri's schools; it also gave blanket amnesty to secessionists for all their wartime crimes. Even a bill offering amnesty for the James brothers was only narrowly defeated. Ironically enough, the ex-Confederate ascendancy spelled trouble for one of its strongest supporters. Reconstruction ended after the disputed election of 1876, and by 1880 former secessionists dominated Missouri's congressional delegation and state legislature. The "cause" for which Jesse fought was no longer lost, at least not in Missouri. And so when Democratic governor Thomas Crittenden declared war in his 1881 inaugural address, it had nothing to do with North and South. Crittenden was taking on Jesse James, and in a little more than a year, that battle would be won. In April 1882 Jesse James was shot and killed by a gang member's brother in return for a reward and a governor's pardon. Based solely on longevity, Jesse James was one of America's most successful bank robbers. 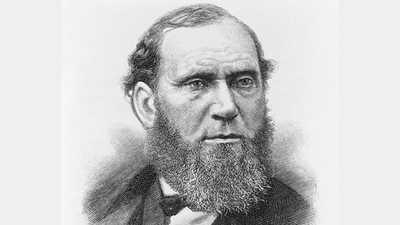 Scottish emigrant and abolitionist Allan Pinkerton founded America's first detective agency and brought down some of the country's most ruthless criminals.